"It could easily kill a child, no problem"
A Florida man pulls a 13-foot long, 80 pound python from a backyard canal, and authorities want to know how it got there. WFLA's John Rogers reports. 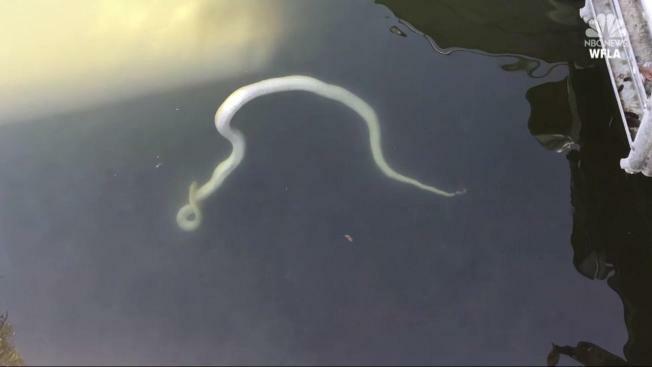 When a neighbor told Joe Volpe a massive snake was floating right next to his dock in Siesta Key, Florida, he thought the neighbor was exaggerating. But when he went to check it out, boy was he surprised. "This is a big mother," Volpe said when he saw it. The reticulated python was lying belly-up in the water. Volpe grabbed a pole and lifted the snake onto dry ground, then realized just how big it really was--nearly 13-feet long, weighing 80 pounds. "It could easily kill a child, no problem, kill a human being at that size," said Volpe. "I wasn't scared because he wasn't moving. If he had been active, it would've been a different story, I would've gotten my gun and shot him." 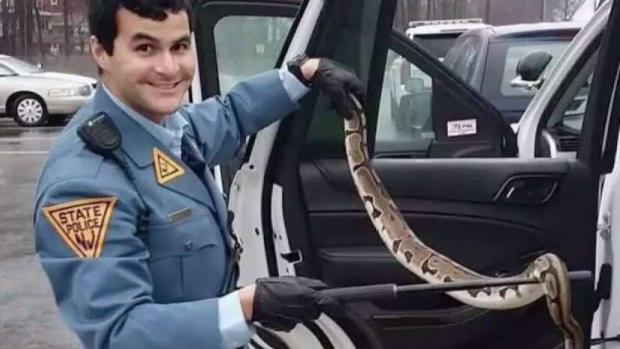 A New Jersey State Trooper rescued an abandoned python with an expandable baton. The type of snake Volpe encountered typically costs around $1,000. Wildlife officials say the snake was likely someone's pet who either escaped or was released. They believe it went into the water to stay warm during the cold weather. The Florida Fish and Wildlife Conservation Commission is looking into the circumstances leading to its discovery and has launched a criminal investigation.